Too shy for focus groups alone? Get your bestie on board! Ever thought about registering for market research, but felt daunted at the prospect of going alone or speaking out in a group? You’ve probably already heard of some of the most common market research methods such as focus groups, market research online communities, and accompanied shops. But did you know that you can also take part in paid market research with your bestie? 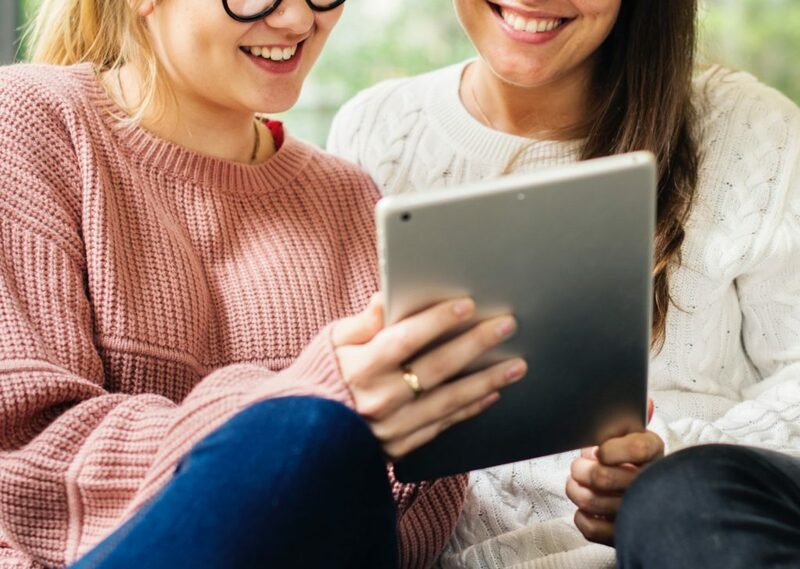 Yep – you read that right – a friendship pair is a type of market research methodology that involves two friends or family members taking part in market research together. Sound interesting? Read on to find out more! What is a friendship pair? Basically, a friendship pair is a type of market research method where researchers carry out an interview with two people together. By observing you and one of your friends, brands can see what you chat about, what makes you tick, and how you interact with their product. This is so they can understand how and why you make the decisions you do. And, because you’re taking part in research with a friend, the idea is that you don’t feel as shy as you might do in other market research scenarios. All this means you’ll both feel confident enough to have a truly open and honest discussion. So, researchers can really get to the bottom of what you think and why. When you take part in a friendship pair interview, you’ll be given a particular product, service, or concept to chat about whilst you are observed and asked questions by a moderator. The researcher will be looking at how you and your friend interact and engage with each other, how you make decisions and how you share ideas. Because of the social dynamic and close relationship between you, friendship pair interviews can deliver a clear understanding of what you think and feel, and why. And, because they provide a great way to open up in a relaxed environment, they’re often a popular research methodology with children and young people too. Generally speaking, friendship pair interviews last for around 60-90 minutes, but this will, of course, vary with each particular project. They can take place at home, online, out and about, or even in a central location. However, because the researcher will want to watch your body language and interaction, most often they are conducted face-to-face. Basically, just think of it as having a cuppa and a natter with your bestie whilst getting paid for it. We’ll even provide the biscuits! See, we told you market research could be fun! If you’re interested in taking part in paid market research with one of your friends, register for market research with Angelfish today. It’s also a great way to earn a bit of extra cash! Companies are always wanting to hear your feedback on their products and services. So, feel free to have a peek at our current projects to see if there’s anything that tickles your fancy. Or alternatively, sign up to our panel to register for market research and start getting paid to have your say!